Free Foyer Concert at the Opera! You must be a member of the Gothenburg Arts & Culture Group to attend this activity. Would you like to join this group? 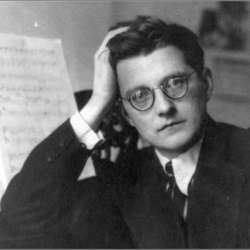 Preludes by Shostakovitch (op. 34). Performed by Göran Österberg (violin) and Karin Johansson (piano). ”I Crisantemi” by Puccini and ”Conte fantastique” av Caplet. Performed by Patrizia Carciani Kvensler (harp), David Bergström (violin), Lars Kvensler (violin), Emil Jonasson (viola) and Lars-Erik Persson (violoncell). It would be great if we could meet up Sunday 27th January at 11:30 (preferably earlier) allowing us to have a chat and a coffee or something else before the concert that starts at 12:30. These concerts tend to get very busy -Please turn up in good time if you want a good seat together with your InterNations friends.